2. Krokotak, a hungarian blog, has a great printable for making these sweet chicks. 3. Make some barnyard friends at Spoonful. 5. 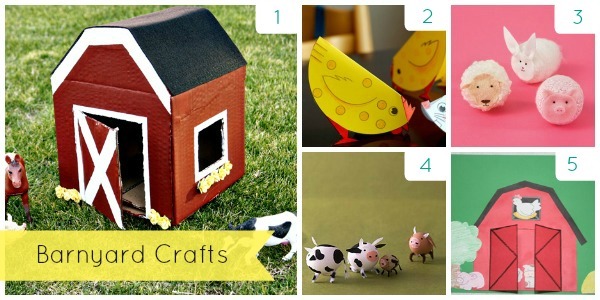 All Kids Network offers a printable peek-a-boo barn craft. Was your post featured? Grab a button! You are welcome to post any photo that is not attributed to someone else, on your own website, but please link it to my site as the original source. Thank you. All images on this blog are copyright to its respectful owners. If there is an image appearing on this blog that belongs to you and you do not wish for it to appear on this site, please E-mail with a link to said image and it will be promptly removed.